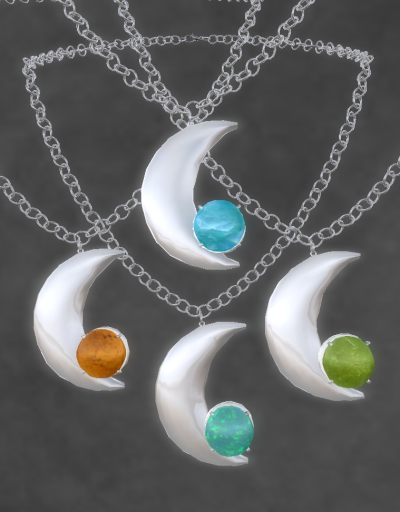 This week at ELEMENTAL JEWELRY, there are 2 new releases--LUNA II GOLD & LUNA II SILVER. The Silver set has texture changing stones in Blue Opal, Green Garnet, Chrysocolla, and Amber. 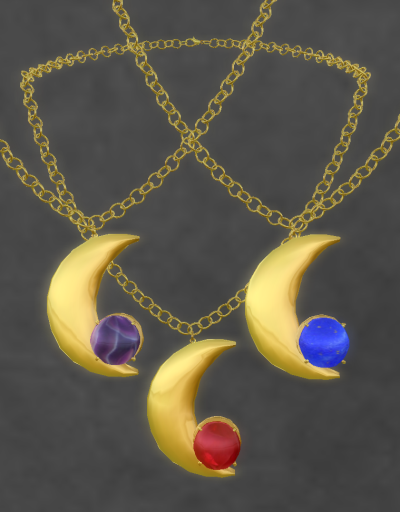 The Gold set has Lapis Lazuli, Ruby, and Purple Agate. And , they are on sale this week! The Silver Luna Necklace or Earrings are in the LOW Sale for L$50 each, and the Bracelet is L$25. And mark your calendars--the 2011 Jewelry Fair starts September 16. ELEMENTAL JEWELRY has a booth in the EARTH section of the fair.